Watch her as she celebrates her birthday donating blankets and food parcels to the elderly. In the eighth episode of Rolling With...viewers spend a day with gospel star Rebecca Malope. She visits the Oriental Plaza with her fiancé, Themba and her adopted son Zweli to buy the gifts and shops around for a good deal and finds the right price for 30 blankets. In this episode Rebecca is also invited to an acquaintance's church and sees "an empty mic" stand and spontaneously grabs it and starts singing and sharing her testimony. Rebecca ends her birthday celebrations at her old friend and producer Sizwe Zako's house and they spend an evening dining and singing with some of her oldest friends. In this episode, South Africans bear witness of how her family and business life are intertwined, the colourful dynamics amongst her band members and she visit her oldest and most supportive friends in Mpumalanga. 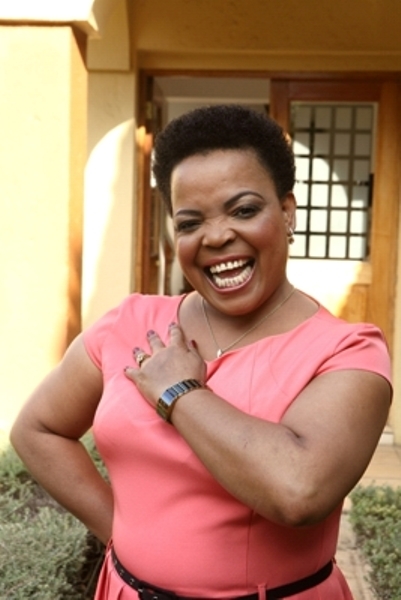 Rolling With…Rebecca Malope will air this Sunday at 6.05pm.